The NY Division of the ERA is pleased to announce a special, previously unannounced trip on Saturday, October 25, 2008. We have just learned that SIR (Staten Island Railway) plans to retire its ALCO S-1 diesel-electric locomotives in November and is affording us the opportunity to participate in a fantrip on very short notice. Our trip will be on a consist of two R-44’s pulled by ALCO S-1’s 407 and 821 (407 is former LIRR 407). We will be treated to a round-trip excursion from St. George Terminal to Tottenville and anticipate making a number of photo stops. A tour of the Clifton Yard Shops and a visit to the SIR Ballpark Station on the North Shore Line will be included. 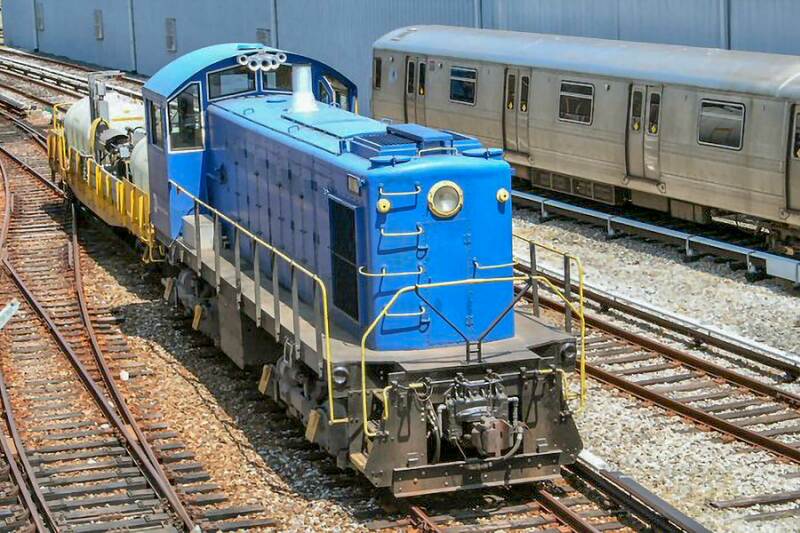 This may very well be the last time ALCO S-1’s will operate in the metropolitan New York City area, so you will not want to miss this trip. All attendees will meet at the Staten Island Ferry entrance of the South Ferry terminal at the Battery no later than 8:45 AM We will be taking the 9:00 AM ferry to Staten Island. Our excursion will begin at 9:30 AM at the St. George Terminal. A lunch break will take place at Tottenville where there are several nearby stores where one can purchase food (or you may bring your own lunch). Representatives from SIR will be our hosts to point out interesting features of the Clifton shop. We anticipate that the entire trip will be over by mid-afternoon. In anticipation of the need for security clearance for all attendees, please make certain to have a photo ID in your possession. Join us for a very special excursion and shop tour. This will be your last chance to see the SIR ALCO S-1’s in operation as they will be retired shortly after our trip. The ticket price for the excursion and shop tour is $50. This special trip will be limited to only 50 attendees per R-44 car, so get your money in early. Tickets will be sold on a first come, first served basis. For further updates and information, please call 718-784-3643 evenings. This trip operates rain or shine.